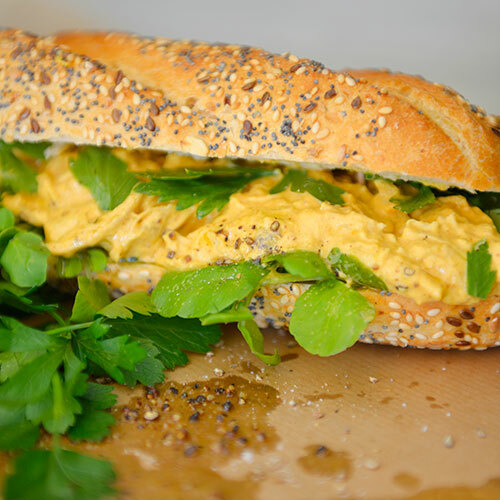 Not to be confused with the wealth fund managers, coronation chicken is like chicken mayo, but for grown ups. With a superb red-wine-infused curry vibe to it, this is our shoutout to the Cape. Resting on a bed of fresh watercress, the added homemade mayo is nothing but extravagant. All served on our custom Knead baguette.